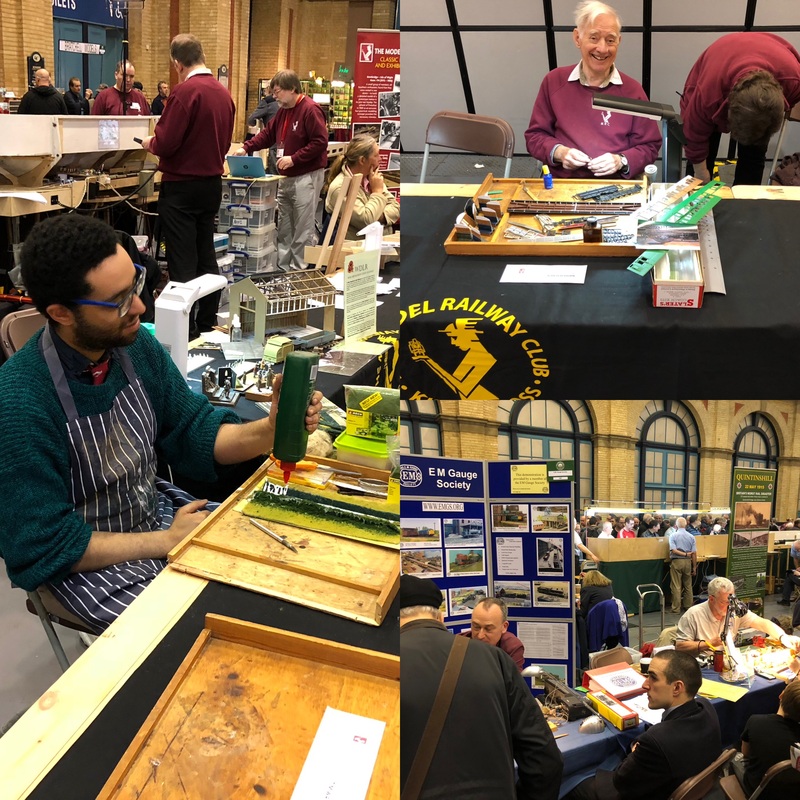 Space is always tight in our lower layouts hall, but we’ve got a few weeks available to have the whole layout up, which gives us the chance to carry out some of the more major projects on track and wiring. We have had an incredibly productive day today with both new fast line loops completed on the “Sopwith Camel” board as well as a substantial re-wire of the electrical feeds. The move of the control panels is also set to commence. 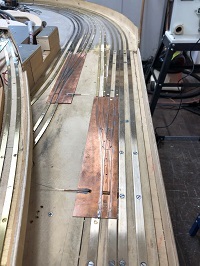 As can be seen in the photo, the loop turnouts on the big fiddle yard board are roughly in place but will need connecting mechanically & electrically. The track across the joint has been Araldited in situ and will be cut on Sunday.